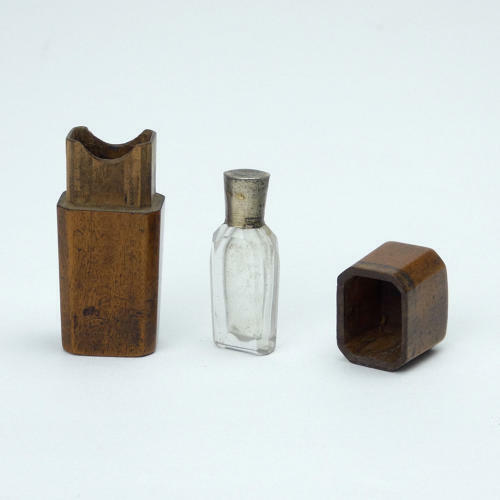 A tiny, 19th century, glass perfume bottle in a wooden travelling case. This piece dates from c.1860. The glass perfume bottle has facetted sides and it has a white metal lid. It no longer has a stopper and there is a small chip to the rim. The case is carved from walnut and the wood has a lovely, rich patina. There is a short crack in the lid but it is barely noticeable. It is unusual to find such a small example as this.